Commercial property in Turkey is a different real estate market than residential homes, and due diligence, when assessing potential hotels, offices, shops, restaurants or bars will ensure the investment pays off. Whether you want premises for your own business or as a buy-to-let investment, attractive prices per square meter are a big lure but market conditions are still the same, and certain aspects like location are of utmost importance. For business owners, the most significant advantage compared with renting is long-term security. You don’t have to worry about rent increases and will also reap the benefits of capital growth. Should you need future funding to expand, you can re-mortgage and also change layouts of the premises, as long as it stays in line with regulations. Space: Cramped working environments can hamper day-to-day running and add to chaos and disorganization. The front end of business properties refers to areas where clients will enter and be served, while back end is storage and working areas, like the kitchen in a restaurant. Both need to be looked at carefully. Car Parking and Transport: Is there adequate parking spaces for you, employees and future customers? Do local bus routes run close by, or will customers need a two bus or taxi journey? Atmosphere: While décor and aesthetic appearances are easily changed, have a future vision to ensure the atmosphere matches your style and brand. Marketing elegant, luxury goods in an old office space turns customers away. Legal Restrictions: When looking at premises, also consider licensing restrictions. For example, it is illegal in Turkey to sell alcohol within 100 meters of a school or mosque. Some sellers accept holding contracts, so buyers can back out of the sale if licenses are refused. Location: As a crucial factor, location is everything. If your business needs drop in customers, it should be in a central, busy road. Assess local demographics and customer bases. Opening a live music bar in a suburban neighborhood will just hamper relations with new neighbors. High traffic level premises are more expensive than back street premises, but the benefits pay off overall. For many buy-to-let investors, business premises have the edge over residential for three reasons. Rental yields are higher, and renters want long term security so they will sign a contract for anywhere between 5 to 10 years, whereas house residents usually just sign one-year contracts. Third, running costs for business landlords are lower. Turkish residential proprietors pay fees such as the communal running costs and repairs while commercial renters pay all overheads and claim it back on their taxes. 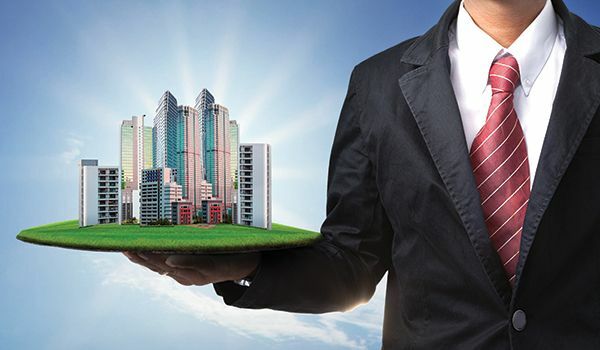 As your Turkish estate agent, we will guide you through the process of buying commercial property in Turkey. Call or email to speak with an experienced sales advisor for more details. We will help source properties and complete an assessment to determine which one suits your vision for the future. Also, see our portfolio of investment properties in Turkey, and just fill in the inquiry form for more information.